Everyone’s talking about entrepreneurship or starting a side-hustle or new business these days. With the potential for believed freedom, flexible hours, personal goal achievement, and no more bosses, who can blame them? Having done diligent research would direct future small-business creators to see the needs placed on them through the IRS. However, for as popular as self-employment is the ideas behind quarterly estimated taxes aren’t as understood as they ought to be. After all, if you’re supposed to be paying these taxes, there are gonna be penalties if you don’t comply. Follow our bullet points below to learn more about these important taxes for small business owners. As most people are employees of someone other than her or himself, they have not been made aware that their taxes are paid every three months by their employer. Taxes withheld from paychecks are typically withheld per each paycheck and then submitted through their company’s Tax ID. The only person responsible for paying the taxes of the self-employed individual is that entrepreneur herself. Over- or under-paying will generate an IRS refund or more taxes to be owed. This is all reported and compiled in your yearly tax return. Find out how much to pay by looking at the 2017 Tax Rate Schedules to calculate what you owe using the Estimated Tax Worksheet. These are all available in the IRS.gov PDF for Form 1040-ES. If you’re expecting to owe more than $1000 in taxes from your business for the year, you should pay every quarter. For the minimum example above, you should pay $250 each quarter. If you’re expecting to ow $4000 for the year, you’ll pay $1000 every three months. Quarterly estimated taxes are in April, June, September, and January, and falls on the fifteenth of the particular month unless the fifteenth is a weekend or Holiday, in which case taxes are owed on the next business day. Now let’s say January 18 comes around, and you’ve got everything you need to file your 2017 return and pay whatever’s left in taxes for the year. If that’s the case and you can file and pay by January 31, don’t worry about the estimated tax deadline in January for that final quarter. Your estimated taxes can be included in what you pay for the entire year when you file your 2017 return. 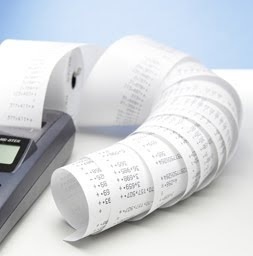 Paying online is the simplest and most effective way to pay your Estimated Quarterly Taxes. You can use IRS Direct Pay to send the money directly from your bank account, or you could choose to pay with a card. Other options include same-day wires and check or money orders. 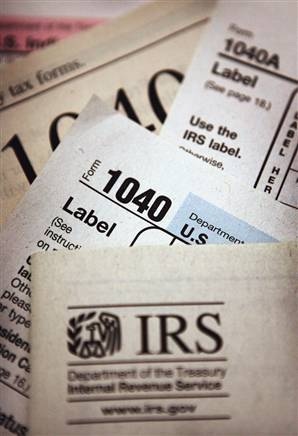 Check out all your tax payment options on IRS.gov. While you’ve kept up-to-date quartlery, you need to record your payments on your tax return when you file it for the year, so be sure to keep copies of all your Forms 1040-ES. Working with a professional firm like Professional Tax Resolution will ensure your records are kept safe and secure. Professional Tax Resolution is dedicated to finding the individual approach to tax planning that is best for you, if you have tax questions or a tax debt you are unable to pay, our experienced tax settlement professionals are happy to discuss your tax resolution options free of charge. For more information about our services, visit us today at www.professionaltaxresolution.com or call us at 877.889.6527. Our CPAs, Enrolled Agents and other skilled accountants have a thorough understanding of tax law together with the experience necessary to know which tax settlement option will be the best fit for your specific set of circumstances.